Recently I have been working on an open-source project around Azure Data Lake Analytics. 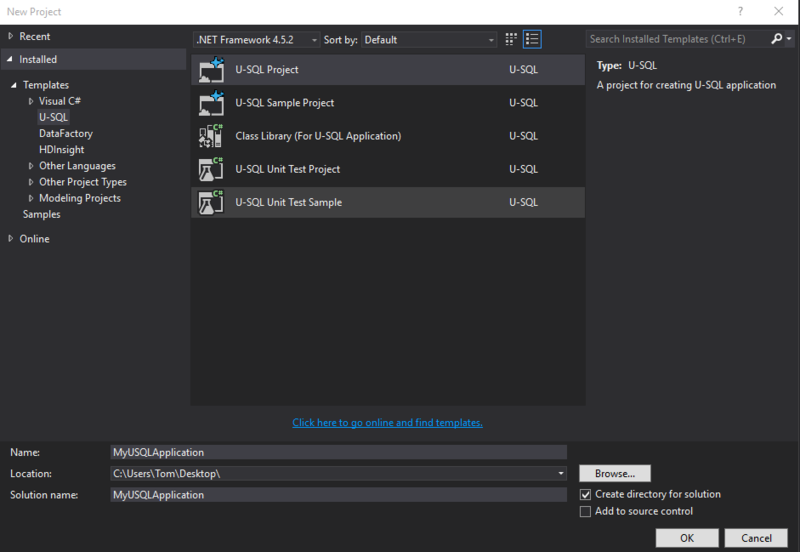 It will contain custom U-SQL components that you can use in your own projects and already contains a Xml Attribute Extractor. To build my code I'm using MyGet.org because it builds & automatically packages it in one or more NuGet packages. The only thing I needed to do was sign-up and point MyGet to my repository. Every time I push my code to GitHub it will automatically be built & re-packaged. C:\Program Files (x86)\MSBuild\14.0\bin\Microsoft.Common.CurrentVersion.targets(1819,5): warning MSB3245: Could not resolve this reference. Could not locate the assembly "Microsoft.Analytics.Interfaces". Obviously the server didn't have the correct DLLs to build it but first, how did I create my project? 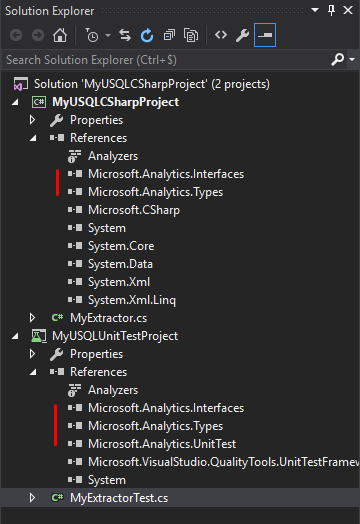 For my custom extractor I've created a "Class Library (For U-SQL Application)" project with a corresponding Test-project. Once it's created it automatically references the DLLs you need. The problem with these references are that they point to DLLs in the Visual Studio folder. As the build server doesn't have the tooling installed it can't find them. Unfortunately there is no NuGet package for this, however this is something that is under review. By installing these packages you are overriding the existing DLLs & your build server is good to go! Kudos to Maarten Balliauw for the idea.